Cary Plumbing Company Home & Commercial | Cary Plumbing | Cary Plumbing Co.
Cary Plumbing has been the NC Triangle’s trusted plumbing contractor since 1982. We are proud to provide a wide variety of plumbing services to the Cary, NC area and beyond. Whether it’s big or small, Cary Plumbing can do the job. From water heater replacement and fixture repair, to turn-key pipe replacement, and all services in-between, we have the expertise to complete your job from start to finish. 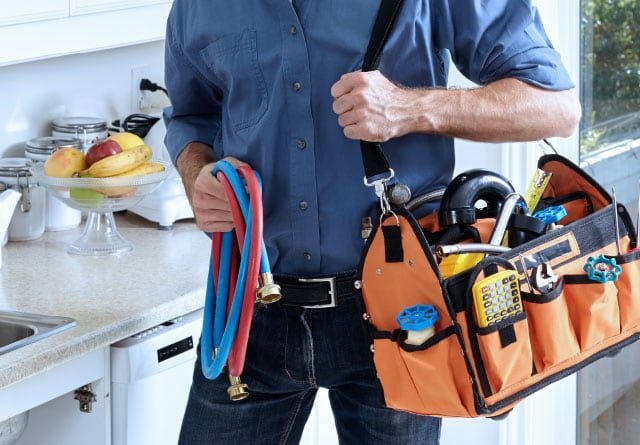 As a family owned and operated company with over 30 years of experience, we know what it takes to ensure that your plumbing needs are addressed efficiently, promptly, and professionally. When you work with Cary Plumbing, you know you’re going to find affordable pricing and dependable service. We’re happy to handle much more than residential plumbing. Cary Plumbing has the equipment and the experience to get the job done right, whether it’s at your home or in a commercial environment. Our team of local plumbing experts has decades of experience to provide them with the know-how to handle any job you can throw at them. When you need a reliable plumbing company in the Triangle area, Cary Plumbing is the one you need to call! Cary Plumbing is happy to offer after hours emergency services, because we know plumbing emergencies don’t always happen on your schedule. Call us at 919-469-3556 to speak to one of our staff members. Our number is always monitored by a real plumber, so you know you’re getting the care and service you deserve no matter what time it is. We’re happy to serve your residential and commercial plumbing needs across the NC Triangle. Learn more about our available services. We’re always looking for friendly and talented people to join our staff. If you’re hard-working, helpful, and professional then we’d love to have you on our team. Do you think that you or someone you know would be a good fit? Learn more about careers with Cary Plumbing. Contact us and ask about becoming a member of our team today!